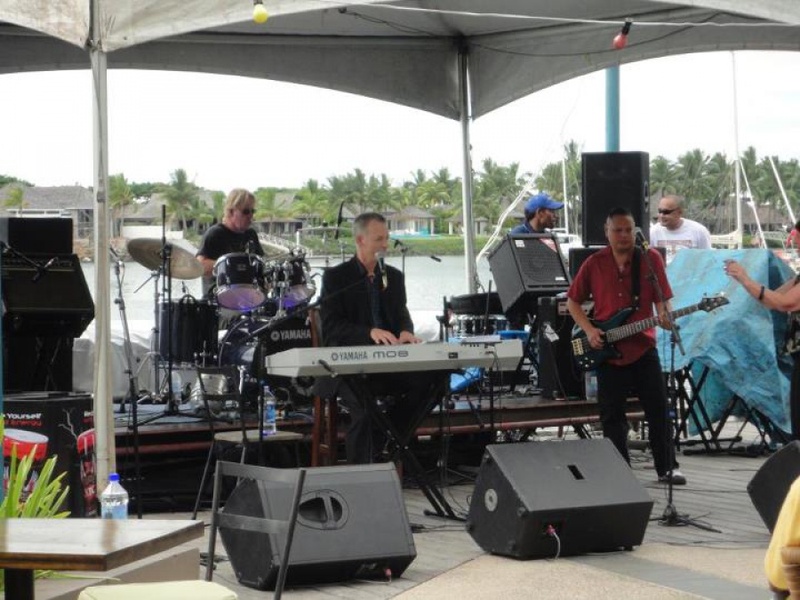 commented on "Recently DAVID THOMAS ('DT') and his band performed at Fiji's luxurious Port Denarau Harbour and local Hyatt and Sheraton Hotel ..."
Recently DAVID THOMAS ('DT') and his band performed at Fiji's luxurious Port Denarau Harbour and local Hyatt and Sheraton Hotel resorts. This included new release original material yet to be recorded. The performance was enthusiastically received. DT was also part of the team of musicians that held MusicWorkshops across the island at the Fiji National University (FNU) in Suva, an extra opportunity set up to encourage local musicians by event promoter and celebrity blues Guitarist Billy TK Jnr (NZ).